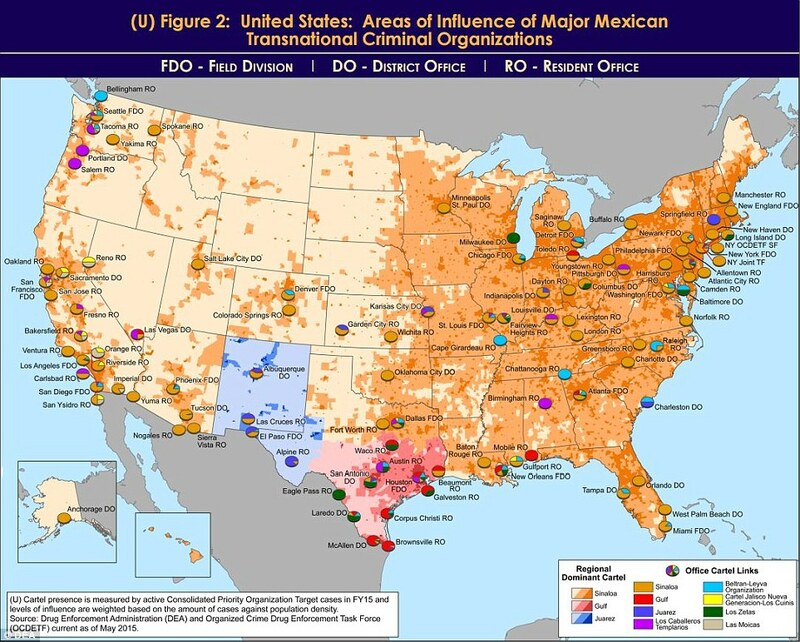 Although Joaquin ‘El Chapo’ Guzman was jailed and escaped from a Mexican prison in July, his Sinaloa cartel continues to traffic drugs across the border on a massive scale, The Daily Mail reports. 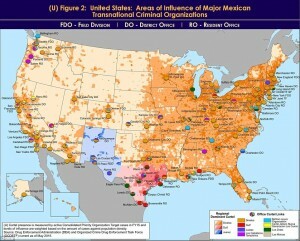 A newly released map by the DEA shows that El Chapo’s gang continues to yield tremendous influence, sending drugs all over the U.S.
“These Mexican poly-drug organizations traffic heroin, methamphetamine, cocaine, and marijuana throughout the United States, using established transportation routes and distribution networks,” the report states. Posted: 11/30/15 at 9:53 AM under News Story.